Rod Ryks is a 21-year production professional at the Austin Plant. 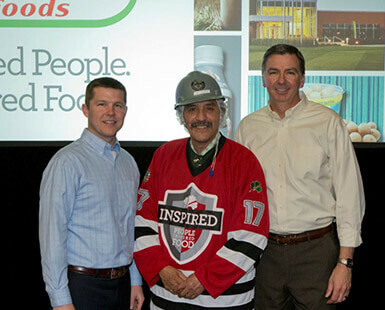 He’s also a recent recipient of the Hormel Foods jersey, designed to celebrate the inspired people who make the inspired food the company has long been known for. 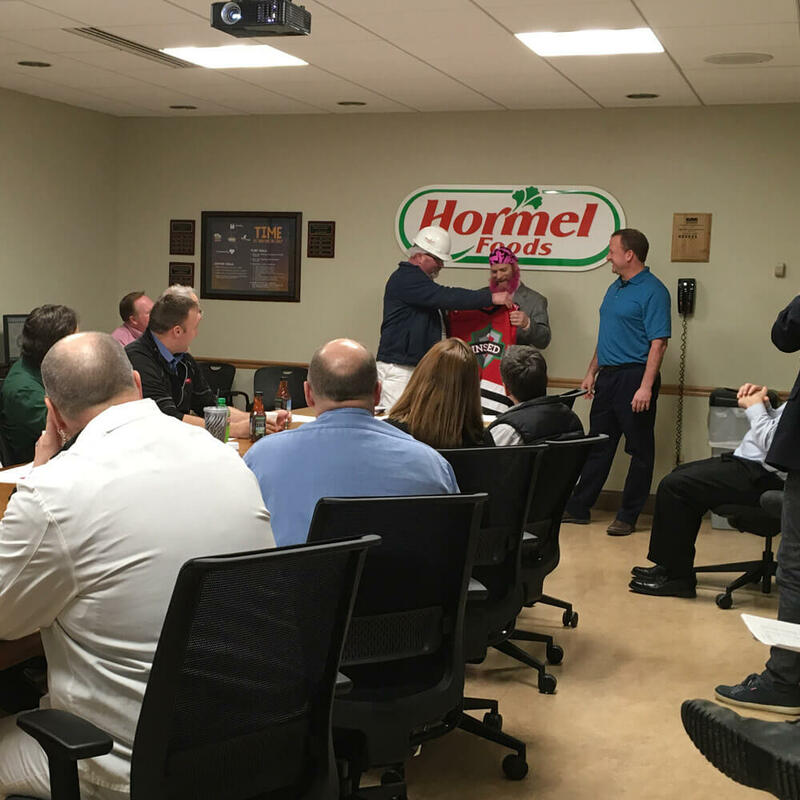 “This is awesome,” he repeated as Plant Manager Clint Walters and previous Pride of the Jersey recipient Mark Turvey handed him the Hormel Foods hockey-style shirt. Rod stood at the front of the room as Clint and Mark sung his praises. Sporting a dyed-pink beard and matching tie and head scarf, he also stood out. In addition to his work for Hormel Foods, Rod is committed to the community’s breast cancer fundraiser Paint the Town Pink. 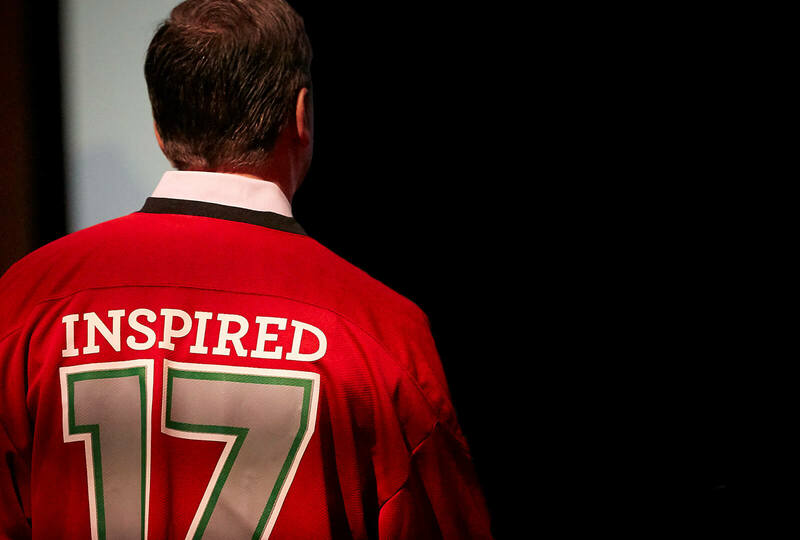 When he slipped the bright-red Hormel Foods jersey on, it was a moment he won’t soon forget. Neither will those in the packed conference room who came to honor their friend and co-worker. “We all come to work to do a job and do the best that we can. And to be recognized…it means a lot,” Rod says. He grew up near the Austin Plant he has called home for more than two decades. 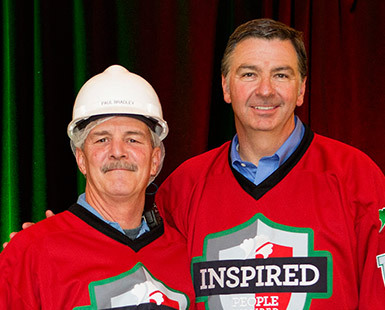 He wanted to be part of the Hormel Foods team for as long as he could remember, so when an opportunity arose 10-plus years into his career as a grocery-store meat cutter, he jumped at it. I come to work each day with the attitude that your day is going to be what you make it. He is known for greeting everyone at the start of each day, often with a reminder to be safe. The latter is evidence of the passion Rod brings to his role as co-chair of the plant’s safety committee, a responsibility he gladly accepted. As committed to his friends and family as he is to his job, Rod’s annual work for breast cancer research and awareness is well-known. His inspiration is his wife, a nine-year survivor of the disease. 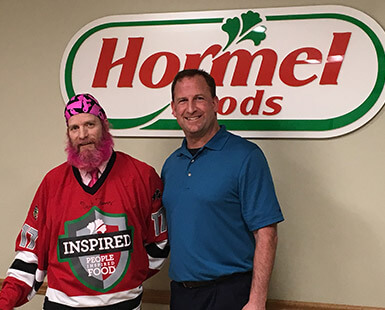 Rod has amped it up this year, even by his standards, going pink and pledging to raise $10,000 for the Hormel Institute. Funding research is the answer, he believes.